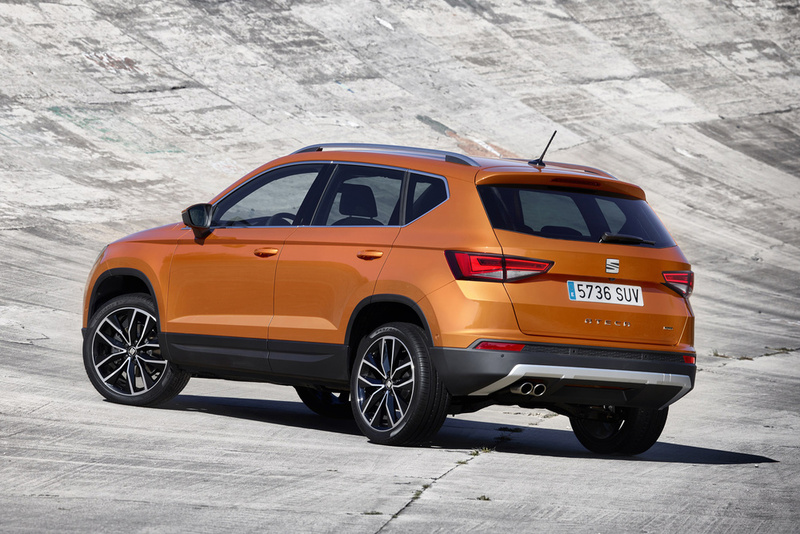 Following its world debut at the Geneva motor show just a few weeks ago, SEAT has confirmed UK pricing and specification for its first SUV, the Ateca. Priced from £17,990, the Ateca undercuts key rivals, including the Nissan Qashqai by over £500, as well as the Ford Kuga by around £2,000. Four trim levels will be available at launch, including a limited ‘First Edition’ which will be confirmed in May. 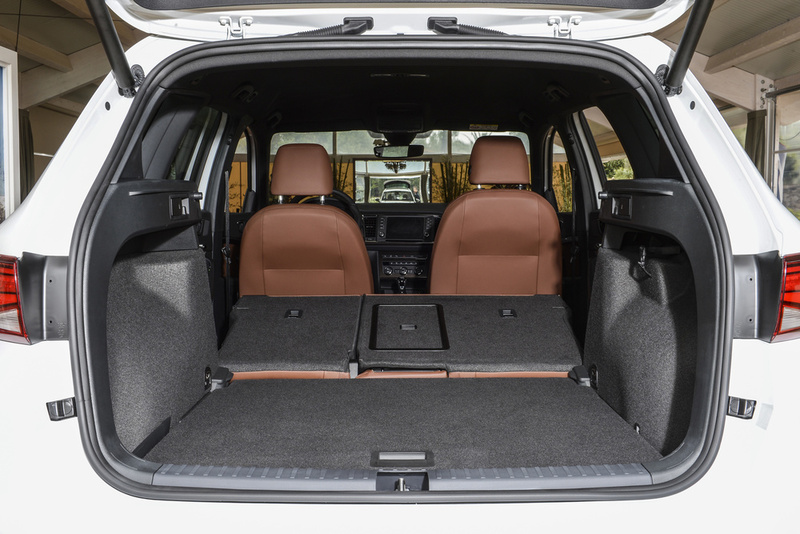 The entry-level S trim comes equipped with air conditioning, a 5-inch touchscreen with USB and SD connectivity, a leather steering wheel and gearknob, plus split-folding rear seats with reclining function. On the outside meanwhile, there are 16-inch alloy wheels and LED daytime running lights. The expected UK best-selling trim level, SE, gets dual-zone climate control, cruise control, electrically adjustable, heated and folding door mirrors and rear parking sensors. On the technology front, there is Full Link (SEAT’s seamless three-in-one connectivity solution for smartphones and tablets), together with an upgraded infotainment system in the form of Media System Plus with eight-inch colour touchscreen, USB/Aux-in port, SD card slot, eight speakers, voice control and Bluetooth audio streaming and hands-free system. Externally, it gets larger 17-inch alloys, LED taillights and black roof rails. Topping the initial UK line-up (at least until the ‘First Edition’ version is confirmed) is the XCELLENCE. 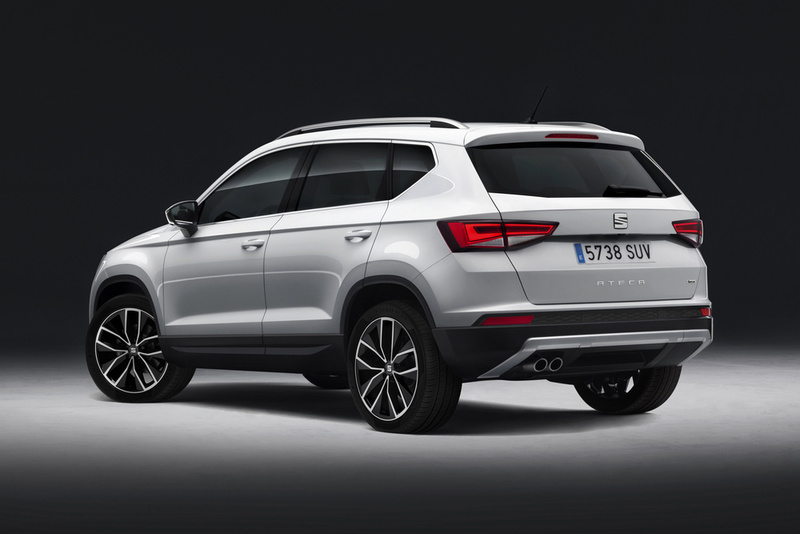 The Ateca flagship adds still more kit, including a Connectivity Hub with Wireless Phone Charger which also boosts in-car phone signal, as well as multi-colour interior ambient lighting with LED interior illumination and a choice of eight colours plus an ‘Ateca’ welcome light silhouette which is projected onto the ground from the bottom of the door mirrors. 18-inch alloy wheels, chrome accents, dark tinted rear windows, twin exhaust pipes and aluminium roof rails complete the premium look. A choice of five engines are on offer: two petrol and three diesel, ranging in power from 115 PS to 190 PS and all mated to either six-speed manual or seven-speed DSG-auto transmissions. The 2.0 TDI 190, is exclusively available with the range-topping XCELLENCE trim, and comes with DSG and four-wheel-drive. 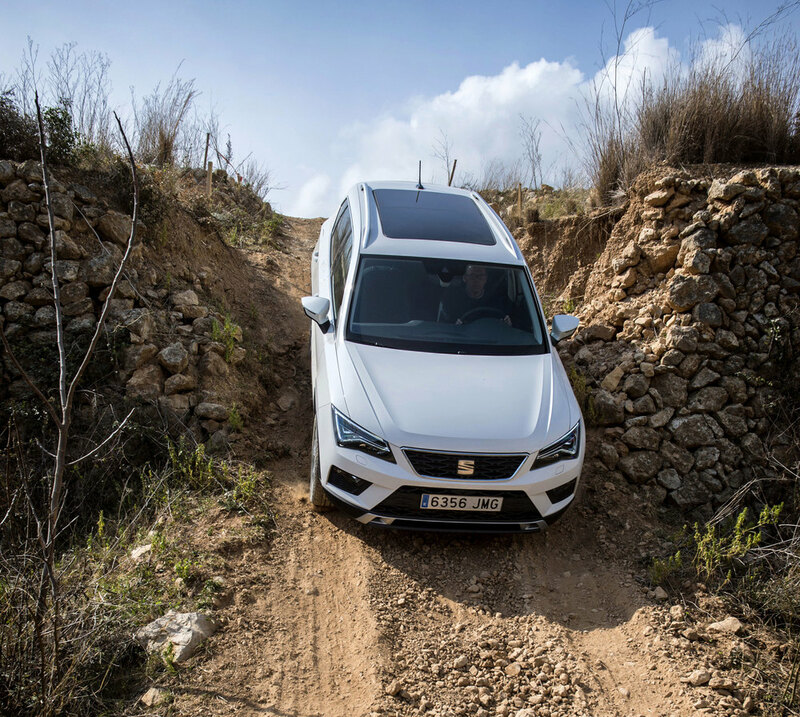 Priced from £17,990 to £29,990, Ateca will be available to order from 3 May 2016, ahead of an official showroom launch on 9 September.